As Rome is a city that has always flourished in and celebrated the arts, AOSR is a school that nurtures and extends our students’ creativity and vision. 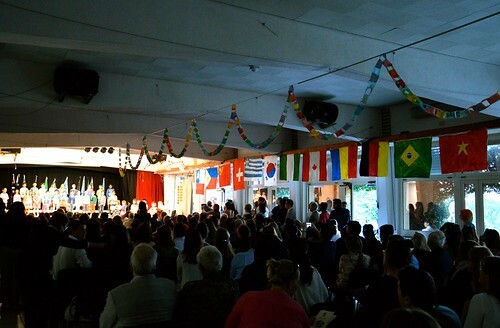 During the academic year, High School and Middle School students have the opportunity to participate in a number of drama performances which include a fall and spring production and the annual Shakespeare Festival. The Shakespeare festival is a celebration of the work of the Bard that brings together the middle school and high school students in a spellbinding performance that takes place in the Hillside Theater. 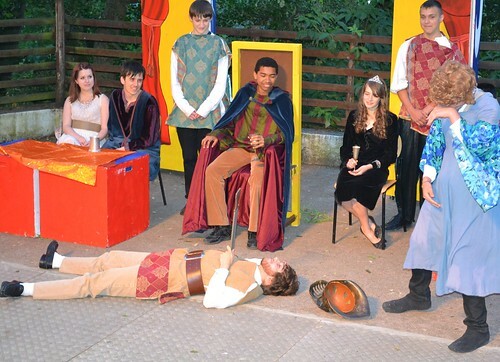 It is a long standing tradition at the school that connects our students to Shakespeare’s timeless work, allows students of all ages to work together, and brings thespians and spectators together for a weekend of magical shows towards the end of the school year. In the Middle School Theater program, students spend eight weeks learning about the traditions of theater, gaining skills as performers, and exercising their creative thinking. Students work on building an imaginatively-rich and supportive environment, a space where all members can feel good about taking the creative risks that are an essential part of making art. In the High School Theater program, students have the opportunity to build on their knowledge of drama and to extend their learning in Theater I, II, and Advanced/IB Drama courses. In high school courses, students are exposed to improvisation, theater combat, Shakespearian theater, audition practice, and directing. Advanced/IB Theater is a challenging two year course in which students read and analyze drama texts in depth, create and act in original performances, and study theater theory. In both the middle and high schools, class efforts concentrate on the world of theater and sharing our mental inventions through performance; classes are geared towards developing an overall sense of voice and joy in the ‘creative-self.’ Lessons are taught with the belief that an expressive and empowered imagination is an asset in any choice of career or lifestyle. AOSR students also have the opportunity to develop their musical passions. Through a variety of courses, including Concert Band, Modern Music Ensemble, Guitar, Music Theory, and Choir, and more, students hone their skills and techniques in playing an instrument as well as reading and interpreting music, learn about the building blocks that make up music composition, are given the chance to create their own pieces, and learn the fundamentals of vocal technique. Furthermore, AOSR students are given the chance to express themselves through the visual arts as well. Rome has much to offer in the way of visual inspiration and our students reflect this dynamic melding of the ancient world and the modern world in their painting, drawing, and photography. Students have the opportunity to take both introductory and Advanced/IB Studio Art courses, which strive to connect students with the social and cultural world around them, giving them insight into and practice with the skills needed to develop their aesthetic visions.